I'm preparing a blog post about immigrants from Tasov, Hodonín district, in Moravia - and I've accidentally bumped into one document I'd like to show to people who are interested in Czech genealogical research. It is "testimonium matrimonii contracti", which means testimony about contracting a marriage. 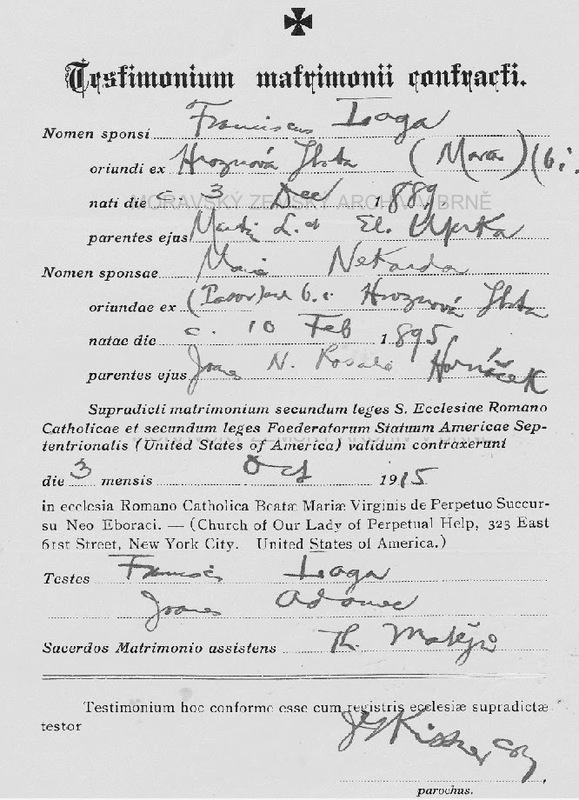 Such documents were provided to people who wanted/needed to prove they were married. Moravian Land Archives in Brno, parish Hroznová Lhota, book no. 5363, available online.